WOULD YOU LOOK AT THAT...I GOT MYSELF IN PARENTS MAGAZINE! My pediatrician's office has a wall of birth announcements that parents send them. Every time I'm there I always take a look to see what designs people choose and how they announce their baby to the world. I'm happy to say that I've seen a few of my birth announcement designs on their wall which always makes me giddy. Then, the other day I finally got a chance to sit down and catch up on some of the million magazines I have sitting on my coffee table. I picked up the latest issue (September 2013) of Parents magazine, started flipping through the pages and low and behold, what do I find? A full page ad of my Welcome Greetings Birth Announcement that is for sale on Shutterfly. (Mine's the one on the left, in case you're wondering) I did a little happy dance and had to share. Out of all of the thousands of designs that Shutterfly has for sale on their website, they pick mine to create a full page ad from. Pretty cool! 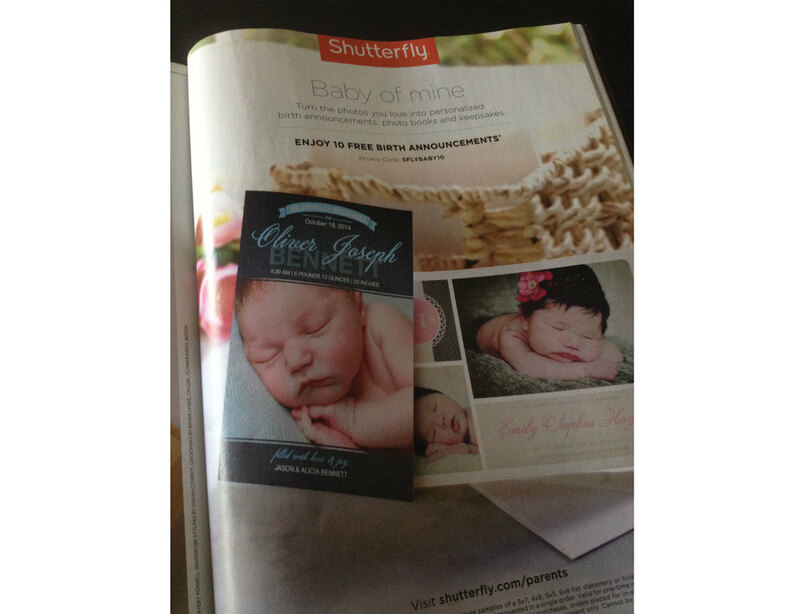 You can view this announcement and my other Shutterfly designs here on my website. 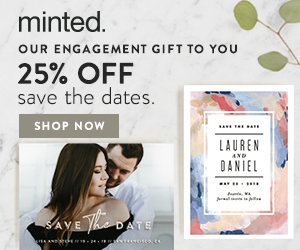 This got me thinking that I need to start a "press" page on my website since I've been featured in a few email campaigns from Minted and now this. So that is what I did! You can view it here. Working hard does pay off!! !